A modality that focuses on reflex points, working from the inside-out to create a balanced central nervous system. Reflexology is an ancient practice that is focused on the concept of “qi” and how pressure points affect the body’s nervous system. 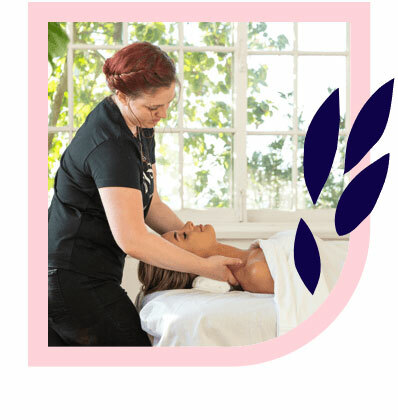 Whereas massage therapists work “from the outside in,” manipulating specific muscle groups or fascia to release tension, a reflexologist works “from the inside out” by stimulating the nervous system to release tension. Traditional reflexology is based on the belief that certain parts of our extremities (feet, hands and ears) correlate to particular organs, muscles and nerves. It has been practised for hundreds of years in traditional Chinese medicine. Reflexology is most commonly performed on the feet using a variety of techniques including presses, pulls and flows. Pricing may vary depending on location type and hour of day. Pricing is indicative of an add-on modality to regular massage service of your choice. Reflexology is an ancient practice that is based on a theory that all organs, glands, muscles, and the skeletal system can be stimulated via points on the feet, hands, and outer ears. The pathways between these pressure points and other parts of the body are connected via the nervous system. Reflexology is predominantly performed on the feet, but can also be done on other extremities like the hands and ears. For more information, visit the blog. Reflexology incorporates a number of presses, pulls and rotations. Your reflexology therapist will use their thumbs and fingers to manipulate and affect the nervous system. Reflexology is generally a dry practice; no oil or lotion is used. What should I look for in a reflexologist? All Blys reflexologists are qualified in massage therapy and knowledgable in the practice of reflexology. Rest assured that you will always be paired with a therapist who is experienced and trusted in whichever modality you’re investing in. Who would benefit from reflexology? Reflexology is a great practice for those who experience chronic pain issues, including sciatic nerve pain, shoulder pain and back pain. Reflexology is also believed to benefit the immune system, particularly when you have a cold or sinus-related issue. Reflexology is a non-invasive modality that is great for first-time wellness goers. Who should not get reflexology? Reflexology is not recommended for those who experience adverse health conditions such as blood clotting issues, open wounds, varicose veins, or problems or injuries of the feet. If you are pregnant, consult your health care professional when enquiring about reflexology. 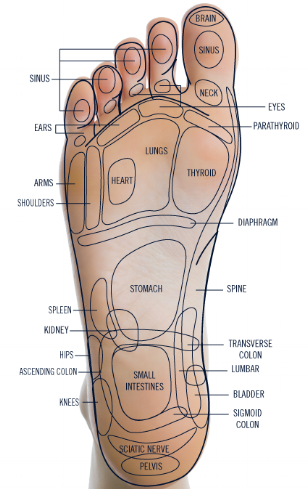 Can I get reflexology near me? You sure can! 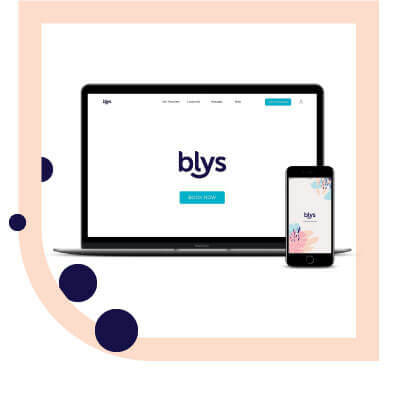 To book your next reflexology session at home, head to the Blys website or download the app and have a professional reflexologist delivered directly to you. Are there any side effects of reflexology? As with any physical therapy, reflexology has the capacity to affect the body both positively and negatively. Reflexology targets the nervous system, and as such your body’s immunity may be compromised. As the old saying goes: sometimes you have to get worse before you get better. How should I prepare for my reflexology session? Ensure that you are always well hydrated and continue to drink water after your session. Dehydration impairs the body’s ability to flush away toxins. If you’re going to eat, we recommend having something small no less than two hours prior. For reflexology, it’s best not to have lotion, moisturiser or any other balm on the skin; clean, dry skin is the best surface for reflexology. Remember that reflexology is performed on the feet, so give yourself plenty of time to be cleaned and dried. What can I expect from a reflexology session? Your reflexologist will always strive to make you feel as secure, safe and comfortable as possible while they are in your home. Your reflexologist will likely ask for a history of your health conditions to ascertain how best to address them. Reflexology involves pressure on the sensitive areas of the feet, so keep this in mind when choosing this modality. Feel free to communicate openly with your reflexologist – they are a professional and here to help! Reflexology can be beneficial for those who experience a number of conditions, including high blood pressure, depression and anxiety, urinary tract issues, migraines, post-operative pain, fibromyalgia symptoms and pain during pregnancy. Reflexology improves blood circulation throughout the body, helping to eliminate toxins, improve bladder functions and affect general health and wellness. Reflexology has also been reported to improve sleeping patterns and encourage deeper, more restful sleep.